Breaking Bad - Season 2: Informed he has terminal cancer, an underachieving chemistry genius turned high school teacher resorts to selling drugs in order to provide for his family. 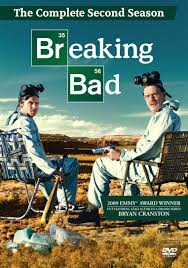 Walt and Jesse are vividly reminded of Tuco's volatile nature, and try to figure a way out of their business partnership. Hank attempts to mend fences between the estranged Marie and Skyler.